A Bangladeshi immigrant who set off a pipe bomb in New York City’s busiest subway station at rush hour last December, was convicted Tuesday of terrorism charges. The conviction of Akayed Ullah was returned in Manhattan federal court after a trial in which the defense maintained that he intended to kill only himself last Dec. 11. Fortunately no one died in the incident. 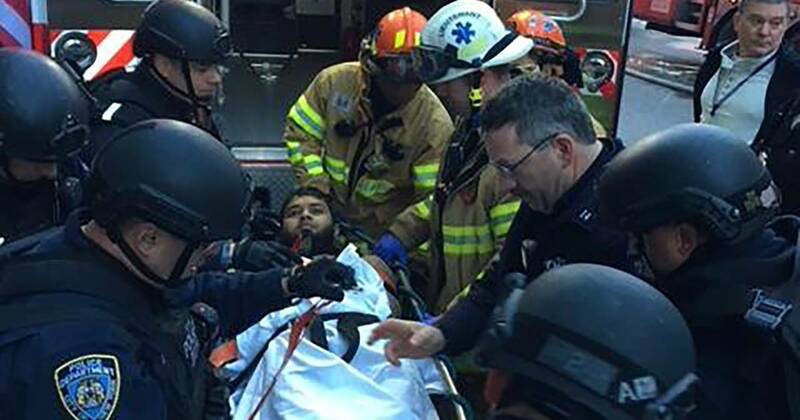 Prosecutors said that Ullah wanted to maim or kill commuters as part of a “lone wolf” terrorist attack on behalf of the Islamic State group, disputing the defense’s claim and saying Ullah would not have worn a bomb had he wanted to kill only himself. They also cited social media postings by Ullah as well as comments he made after his arrest to investigators. In closing arguments Monday, Assistant U.S. Attorney George Turner said Ullah told investigators after his arrest that he wanted to avenge U.S. aggression toward the Islamic State group and had chosen a busy weekday morning to attack so he could terrorize as many people as possible.